If you want to take control of your own health and what is going into your body, try sprouting your own fresh sprouts. They are packed with protein and minerals that can easily benefit your body in every bite. It is easy to do and economical for the family to add sprouts to the weekly meals. See what amazing treats you can produce with just a jar and some beans. 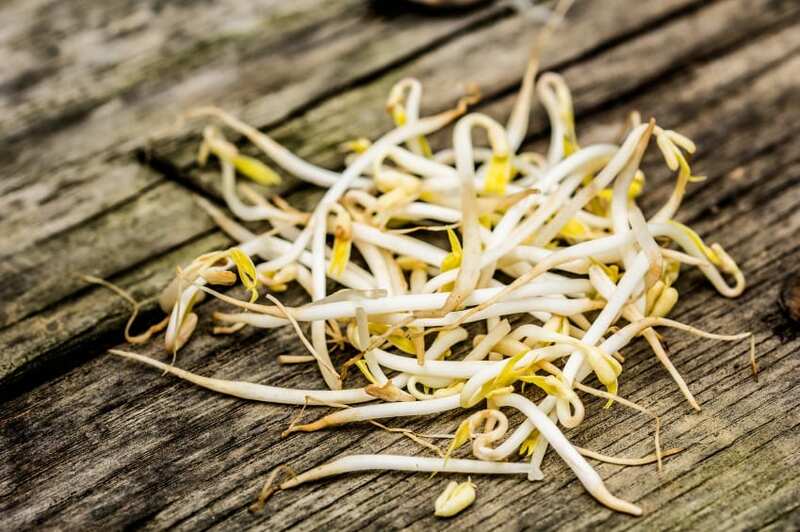 Here is how to grow bean sprouts at home that will add life to your kitchen and excitement to your curious child’s eyes. Use dried beans that are organic and pathogen free. Your best bet is to get beans from a health food store or use beans that you have dried yourself, so you will know that they are fresh. Different beans will have different tastes as well as sprouting times so pick something that you like. The common beans that people like to sprout are mung beans, lentils, alfalfa, adzuki, and fenugreek. I personally love sunflower seed sprouts. Take a glass jar and wash it very well and let dry. Place your beans in a colander and wash them with cold water. Fill your jar about less than halfway with beans and fill the jar with room temperature water. Place mesh over the jar and secure it with rubber band. Place jar out of direct sunlight on a counter to soak for about 10 hours. Now pore the water off your beans through the mesh and rinse the beans with cool water and drain them. Cover them with the mesh and sit them in a dark cabinet. Repeat the rinsing 2 to 3 times a day and they should be ready to eat on day 5 if not sooner. You will begin to see spouts in about two days, which is always exciting to curious eyes. Sprout times are different for every bean, so depending on what you are sprouting, 6 days seems to be the longest sprout time. For more advice about sprouting beans and where you can buy them online go to http://www.growingraw.com/how-to-sprout-beans.html . This is just one way to sprout, but there are other ways that may interest you as well. For the beginner, this is a simple and easy way that will give you the same results as any other method. I think it is a fun thing to do with children who are interested in gardening and for people who can’t have a garden outside. You can still grow your own food indoors and harvest it quicker than any outdoor garden. Watch for mold. If there is not enough air circulation in the jar, mold will form, so do not use a solid lid to cover your jar while sprouting.